Excising the profit-seeking mindset from the Los Alamos National Laboratory was key to keeping the University of California on the storied nuclear-weapons lab’s management team, an executive with the massive public university system said Wednesday. 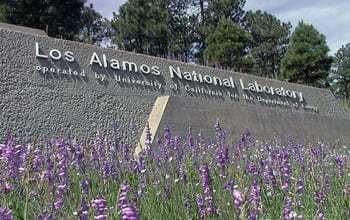 After about a dozen years under the for-profit Los Alamos National Security, the National Nuclear Security Administration (NNSA) in June awarded a possibly decade-long Los Alamos management and operations contract to Triad National Security: a non-profit team including senior partners Battelle Memorial Institute, the University of California (UC), and Texas A&M University. Los Alamos National Security includes senior partners UC and Bechtel, with BWX Technologies and AECOM. All but UC are for-profit companies. NNSA decided to pull the incumbent’s contract more than a decade after its final option period would have expired after a series of management and safety lapses at the lab. The last straw for NNSA came in 2014, after a shoddily packaged barrel of nuclear waste from Los Alamos caused a small underground explosion and radiation leak that at the Waste Isolation Pilot Plant — the Department of Energy’s only deep-underground repository for plutonium-contaminated material and equipment. The disposal site shut down for almost three years after that, and by 2015, NNSA had decided to put the Los Alamos management and operations contract back on the street. When that happened, UC immediately became convinced that “returning to a partnership amongst nonprofit organizations” was key to keeping some degree of control over the laboratory it helped build in 1943, and which it managed solo for most of the decades since, said Kim Budil, vice president for national laboratories at UC’s office of the president. A nonprofit partnership “would commit to a shared fate, a shared sense of urgency about supporting the laboratory and ensuring its success, and a common set of values in how we pursue that,” Budil said Wednesday in a regents meeting webcast from San Francisco. Budil framed Triad’s nonprofit core as “an equal partnership,” though the company’s president and chief executive officer, Thomas Mason, has a strong Battelle pedigree. Mason, who will be director at Los Alamos, comes to New Mexico after a decade as president and chief executive officer of Oak Ridge National Lab prime contractor UT-Battelle. Outside Triad’s main triumvirate are some for-profit entities, headlined by the nuclear-savvy Huntington Ingalls Industries/Stoller Newport News, and Fluor Federal Services. Triad is set to take over Los Alamos Nov. 1. The company’s contract is worth around $20 billion over 10 years, with options. Total Triad fees could be as high as $50 million a year. Budil said UC would know exactly what its share of those fees will be by July 2019.